Imagine that you need to go somewhere urgently and cannot find the car keys in the house. You realize that you have left the spare key in the glove box and have no way of unlocking and accessing your car. Tricky situation, isn’t it? What you need here is a professional automotive locksmith firm who can quickly rush to your location and get you out of your predicament. Affordable Locksmith Services, LLC is a professional locksmith firm that has been helping vehicle owners in Irvine, CA with quick auto locksmith solutions for unexpected lockouts like these or any other vehicular lock and key issue. What makes customers choose us over competition? 24x7 availability: Got a midnight lockout situation? Can't find a locksmith near your house at 1 am? Call us any time of the day and get your issues resolved by a professional auto locksmith. Fastest emergency response: We maintain a record response time and have a well-oiled unit that can reach anywhere in a flash! 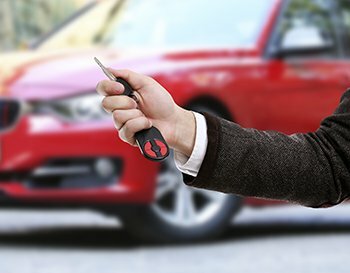 Comprehensive locksmith solutions: Whether you are unable to unlock your car or can’t get your transponder key to work, our automotive locksmiths can resolve all your automotive lock or key issues. Onsite services: Our locksmiths offer a wide range of services, including complex tasks like key cutting, right on the location. For instance, we can laser cut high-security keys and program them right on the location. Economical locksmiths: Call us anytime of the day and pay the same price as our standard service. We don’t charge a single penny extra for a late-night emergency. Our automotive locksmiths can resolve all types of ignition related issues. A faulty ignition can get jammed and may refuse to turn the key leaving you stranded in the middle of nowhere. Call us if you are experiencing issues with your ignition and our auto locksmiths will immediately rush to the spot. Apart from standard lock and key service, we can fix ignitions or replace them with remarkable dexterity. Plus, we are always available unlike your car dealer or a local auto mechanic. Looking for a dependable and affordable automotive locksmith ? Call us now and get all your issues resolved. Call us now on 949-610-0805 !